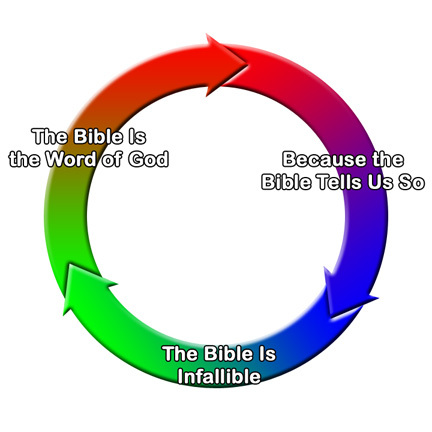 YOU CANNOT PROVE THAT GOD EXISTS BY LOGIC. You also cannot prove that 6 million (or even 2 million) Jews were ‘exterminated’ by the Hitler regime by the current ‘logic’ being used. The conclusion is not distinct from the statement. In the new written history of the World Jewish Congress published in 2016, it’s claimed that “The World Jewish Congress discovered and reported the existence of the extermination plan.” But, in fact, nothing was discovered. They’re referring to the telegram written by Gerhart Riegner in June 1942, in which he ‘reported’ that he was told by an unnamed “Jewish journalist” about a nameless German businessman who said he had learned of a plan being discussed in Fuehrer headquarters to exterminate, possibly by gassing with prussic acid, as many as 3 to 4 million Jews who were first being deported to the East. At this time, these rumors about Zyklon B (prussic acid crystals), which was used in German prison and work camps to disinfect clothing and barracks, had been floating around in Polish circles. To say the gas might be used to kill prisoners in addition to killing lice was not a far stretch of the imagination. And so the rumors were presented as fact, since this was the best they had with which to hope to condemn the Germans. Can this really be the origin of today’s powerful Holocaust Industry? 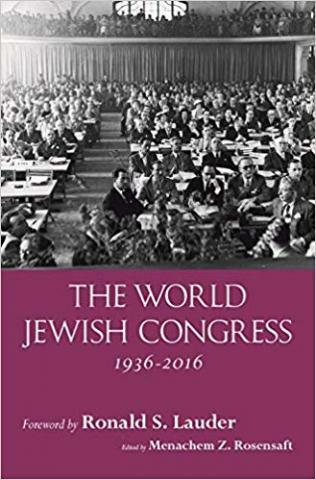 The new history published in 2016 is given the official blessing with a forward by WJC President Ronald S. Lauder, and edited by Menachem Z. Rosensaft, General Counsel. The book contains a chapter titled “The World Jewish Congress during World War II” written by Gregory J. Wallance. I found it very interesting because it emphasizes and confirms the energetic role played by the WJC in fashioning the Holocaust, as they see it. He also wrote: “These efforts were often undermined by callous, often anti-Semitic, career diplomats in the US State Department.” Translated: The professionals in the State Department, which was not a hotbed of Jews at the time, rightly saw through the bogus claims coming from the WJC.Breckinridge Long was an assistant secretary of state over the European affairs section who believed in following the strict immigration laws in force at the time. He was dismissive of the Jewish claims from people like Rabbi Stephen Wise and Gerhart Riegner. But as we know, Jews are not easily dissuaded. On August 28, Silverman cabled Rabbi Wise in New York with the news. Wise decided to go above Breckinridge Long and contacted Undersecretary of State Sumner Welles, whom Wise considered sympathetic to the plight of European Jewry. Welles asked Wise “not to release the telegram until an attempt had been made to confirm it.” That investigation by American diplomats in Switzerland took several months. During that time, Riegner and his allies continued trying to find more sources of information, such as from Red Cross workers, to reinforce credibility of ‘the plan.’ All they came up with was evidence of deportations. Their idea was to portray the deportation of Jews eastward as part of the final extermination plan. It appears that in order to appease Wise, Sumner Welles accepted that the deportations were reason enough to conclude that the Jews were in danger of extermination. In November, after a sympathetic, but not conclusive, meeting with Welles, Wise charged ahead and called a press conference in Washington (left). He told reporters that the State Dept had confirmed reports of a Nazi “extermination plan” to annihilate the entire Jewish population of Europe! The next day, back in New York, he convened a meeting of Jewish leaders to plan a campaign to send telegrams to 500 newspapers requesting editorials on the “Nazi scheme;” invite hundreds of prominent non-Jews to issue statements of condemnation; hold a national day of mourning(! ); and seek a meeting with President Roosevelt. 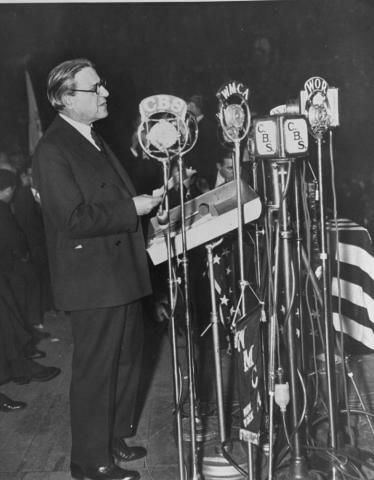 “That afternoon Wise held another press conference where he explained his purpose in disclosing the reports was ‘to win the support of a Christian world* so that its leaders may intervene and protest the horrible treatment of Jews in Hitler’s Europe.’” In response to Wise’s press conference, state dept officials insisted to reporters that Wise’s report was unconfirmed !! But we know to whom the media pays more attention. A week later, on Dec. 2, 1942 a national day of mourning and prayer was held in the US and 29 foreign countries. [I can confidently say it was a mostly Jewish event.] In NYC half a million Jewish union members stopped work for ten minutes in their work places, causing some non-Jews to join in. On Dec. 8, Wise and other Jewish leaders met with the President; they brought with them an “extermination” report [see letter]. Roosevelt promised he would issue a war crimes declaration against the ‘Nazis’. Thus the joint US-British declaration titled “German Policy of Extermination of the Jewish Race,” released on December 17, 1942, that vowed to carry out war crimes prosecutions against the responsible German officials. The key word here is ‘responsible’, meaning that after the war those who were actually found responsible for such crimes would be prosecuted. It was a generalized accusation directed at rumors, not proven facts. In six months, from June to December 1942, the WJC went from an invented telegram created in the mind of Geneva Secretary Gerhart Riegner, to a joint declaration by the two most powerful Western wartime leaders acknowleging “German extermination of the Jewish Race!” With no hard evidence, just by putting out sensationalized, but anonymous ‘reports’ and then later using (confusing) the reports as the results. “We know they did this because they said earlier that they wanted to do it” — that sort of thing. “The diplomats in Switzerland transmitted the telegram to the State Department in a cable sent on January 21, 1943. On Feb. 9, the Division of European Affairs delivered a copy of the telegram to Rabbi Wise. The release of this report coincided with the plans by the WJC, and other Jewish groups, to hold mass protest rallies to pressure the State Dept. to carry out a rescue. On Feb. 10, the European Division sent a cable to the American diplomats in Switzerland specifically referencing Riegner’s cable of Jan. 21,instructing the diplomats to stop transmitting any more reports from Riegner: “In the future we would suggest that you do not accept reports submitted to you to be transmitted to private persons in the United States.” It was an imposition on the State Department’s secure communications/cable network that it needed for its own use, along with the information being useless and a nuisance. This type of hearsay and even fabricated numbers and horror stories coming from a war zone, is the extent of the ‘proof’ of a German plan and policy to exterminate Jews by the millions. It all comes down to “because we said so.” Even in 1944, the War Refugee Board Report that WJC had a big hand in, was merely testimony from three alleged escapees who were at first anonymous. Clearly, influential Zionist rabbis wrote much of what appeared as the testimony of the two young Slovakians. It is the same circular logic—statements are asserted as true because they are stated by so-called “eye-witnesses” or they are found in the WRB Report. If there were any reliable evidence of a Nazi plan to exterminate Jews, we can be sure the WJC would have jumped at it and utilized it. But all they have, after 70 years, is still their own self-originated claims from anonymous sources. Hearsay (which is unacceptable in proper courtrooms) and circular reasoning (containing no evidence, which is necessary for finding someone guilty in proper courtrooms). Yet the information from these reports was offered into evidence at the Nuremberg Tribunal because of the Jewish control of that process and the heavy participation of the World Jewish Congress. Test it out for yourself and see if you can find anything of real evidentiary value. I have completed reading Part One (365 pages) of Mattogno’s The Einsatzgruppen in the Occupied Eastern Territories and I have not found anything I consider solid except for what the Commando Reports (held by Russian Communists in secret for 50 years) contain. But how much can we believe these reports? There is no physical, forensic evidence, except for the Soviet slaughter of Polish officers and elites known as the Katyn Massacre, and some lesser massacres against Germans. It should make one stop and think.